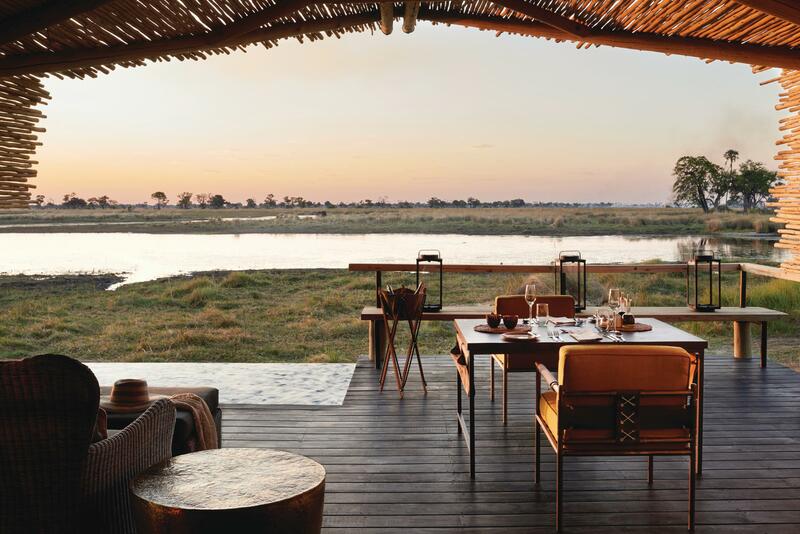 The pristine, papyrus lined waterways of the Okavango Delta weaving between secret islands and isolated lagoons are filled with wildlife activity. The kaleidoscope of colourful birds, the rare Pel’s fishing owl and the colossal bloats of hippo and temperamental crocodiles all thrive in Africa’s most untouched piece of paradise. The alluvial fan of the Delta’s waterways flood the northern regions of Botswana’s landscape and give rise to many tributaries. Floating lilypads lie peacefully on the clean waters of the unexplored channels, while a diverse eco-system thrives beneath the surface. Botswana is the paradise of Africa. A raw, untouched part of the world supporting large concentrations of predators and other wildlife. Botswana truly is the gifted child of southern Africa. Made up of Moremi Game Reserve and various concessions throughout the permanent and seasonal swamps, there are plenty of pristine landscapes just waiting to be explored. Belmond Eagle Island Lodge has just re-opened its doors after a long awaited rebuild and redesign. The result – an exceptional lodge designed in such a way to incorporate the naturals hues and sophistication of the surrounding landscape.